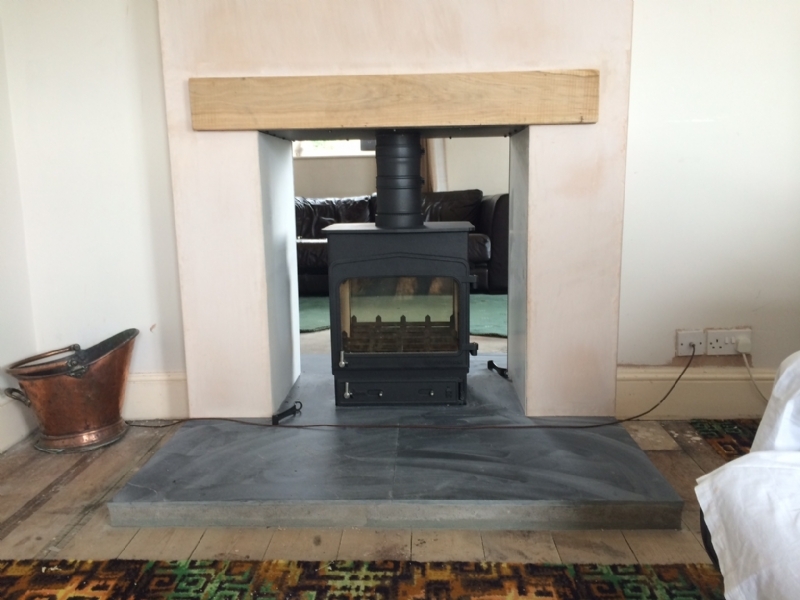 Woodwarm Fireview doublesided wood burning stove installation from Kernow Fires. 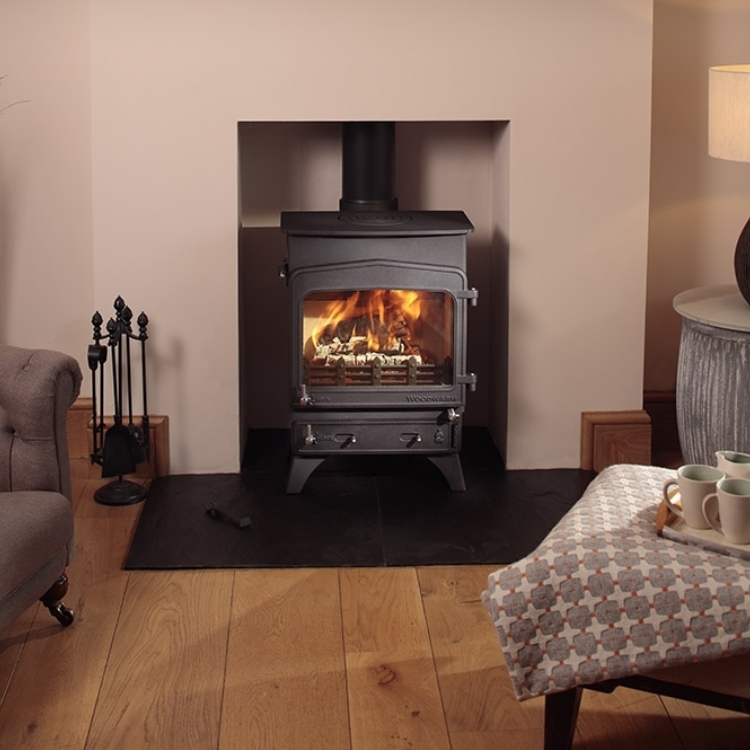 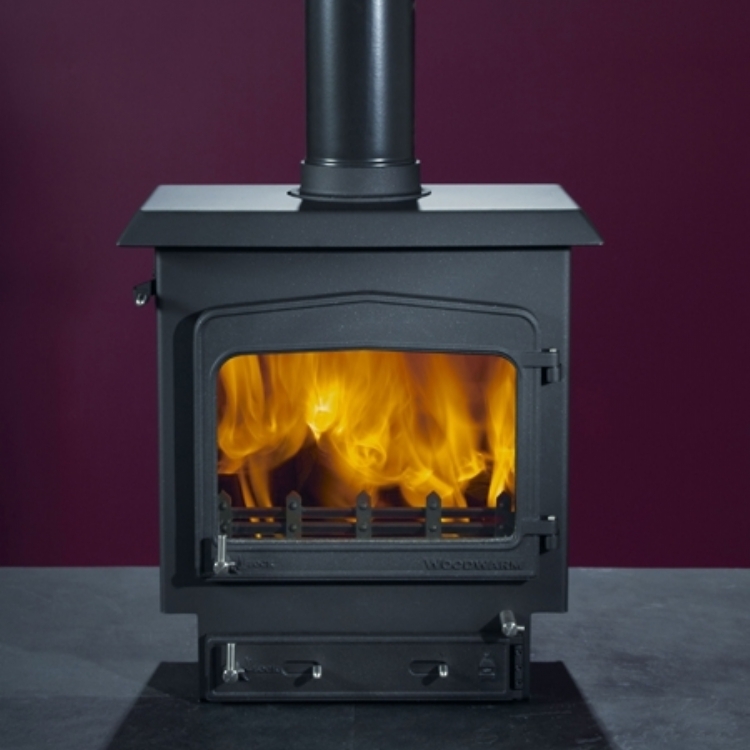 This traditional looking stove has two opening doors which allows you to add wood from either room. 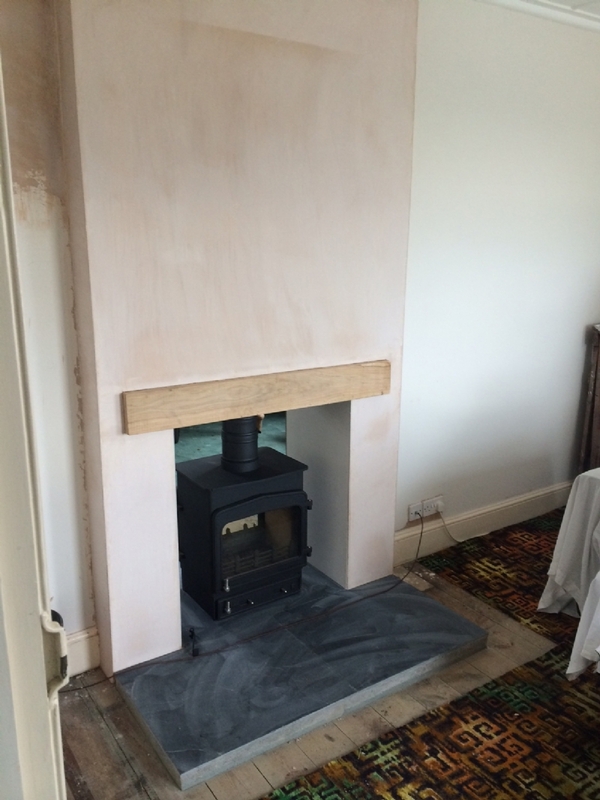 This Fireplace in Cornwall was originally single sided and Kernow Fires team of labourers and installers knocked through and made good on both sides, making the fireplace larger so this stove could be a feature in both rooms.